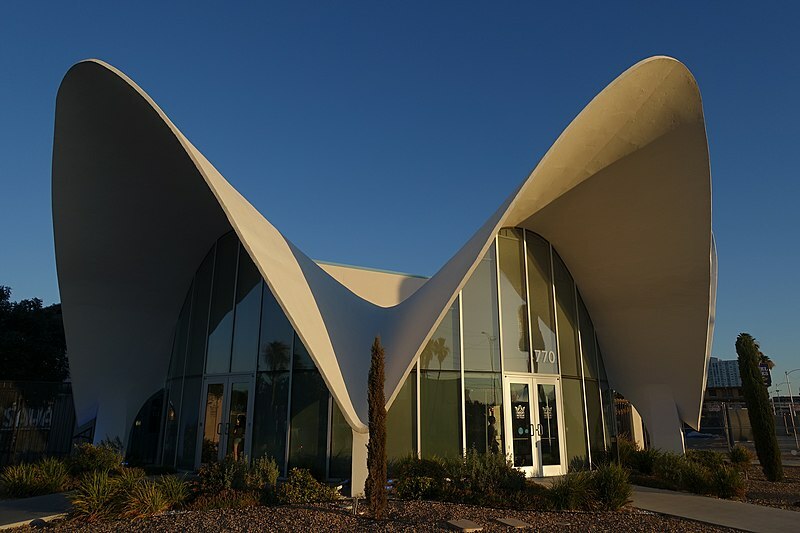 You can’t stay at La Concha Motel in Vegas anymore, but you can visit to see the astonishing lobby building. (As seen in the photograph above). 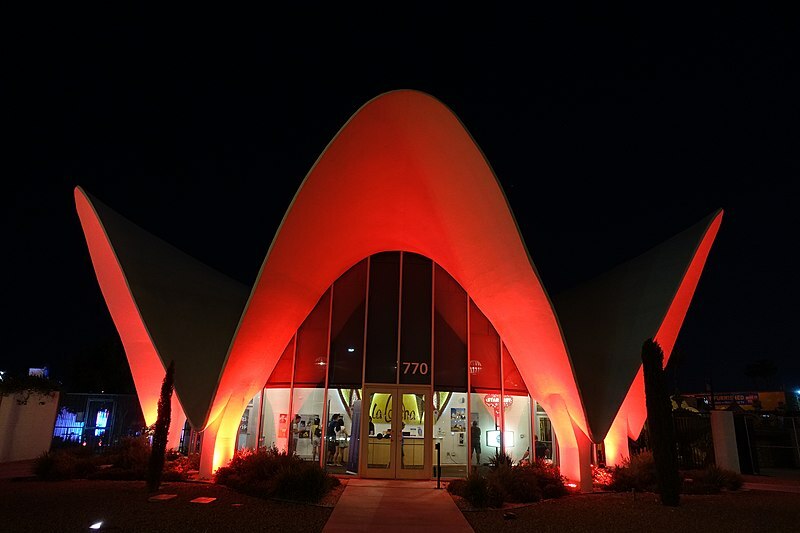 The lobby building, which was initially erected in 1961, has been restored and is used as the visitors’ centre at the Neon Museum in Vegas. 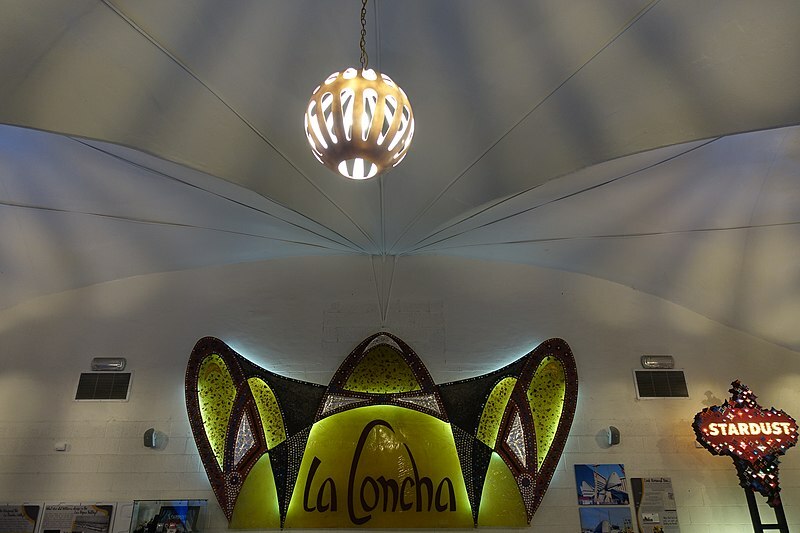 The museum is well worth a visit and the La Concha lobby adds to the experience. Interestingly, this building was designed by Paul Williams, often known as the first prominent African-American architect of note. It’s hard for us today to imagine but at one time Vegas was such a segregated, prejudiced place that it was known as the ‘Mississippi of the West’. Its fortunes had been created due to tourism and the powers-that-be had decided that this was white tourism and that darker faces would scare tourists away. 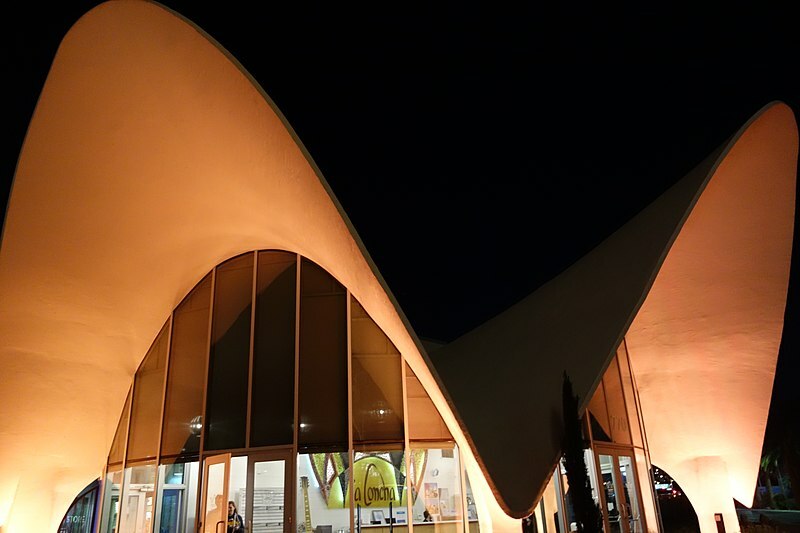 However, we have all heard about how this changed and how often it was performers (white ones, such as Frank Sinatra) worked towards getting this attitude and the local laws changed. 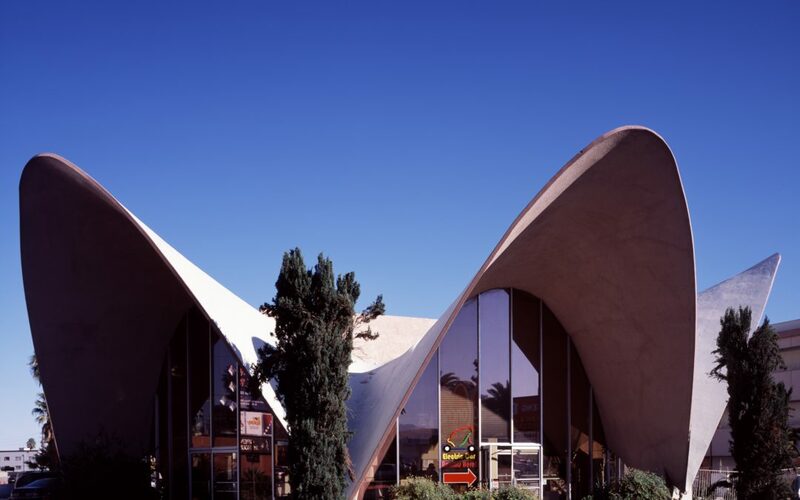 Nevertheless, it was something of a coup when a building designed by a black architect was erected in such a prominent place in Las Vegas. Williams created homes for many entertainers of the day, including Frank Sinatra, Lucille Ball, Tyrone Power and many more. You can see a brief introduction to his work in the video immediately below. WHERE IS THE LA CONCHA LOBBY BUILDING?